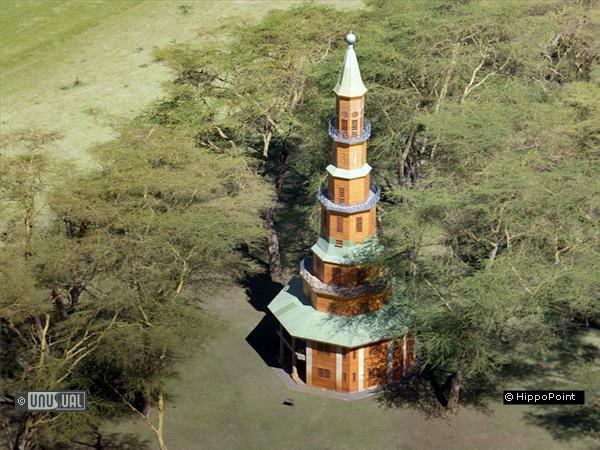 This delicate 115 foot (40m) Kenyan Cypress-clad pagoda stands 50 ft (12m) wide at its base and offers 4 double rooms and a single inside the nine storey construction. 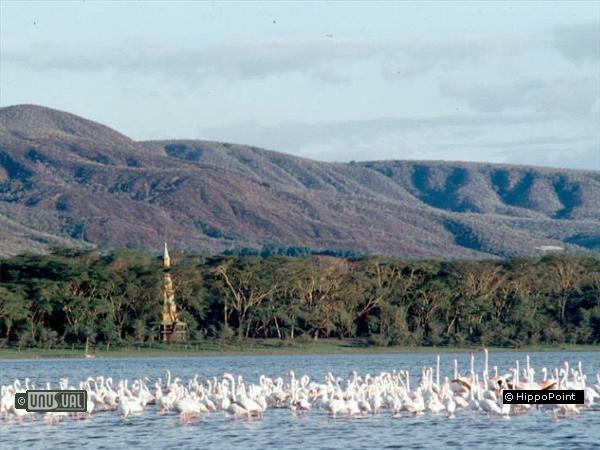 Nestling within the surrounding yellow acacia 'fever' trees that surround much of Lake Naivasha, the design is completely accepted by wildlife, fooling short sighted hippopotami to think that the Tower is part and parcel of the landscape, a towering yellow acacia itself. 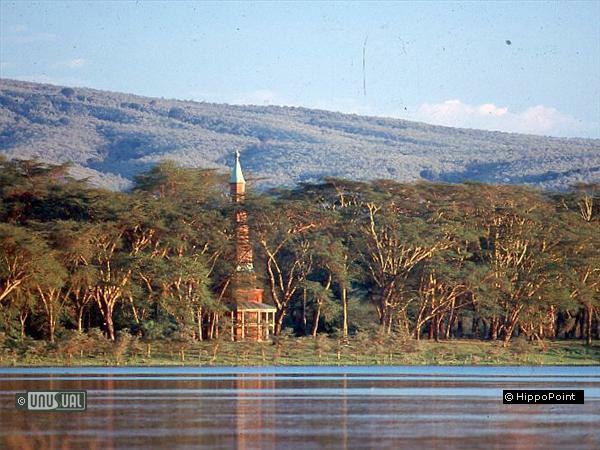 Completed in 1993, Hippo Point is the eccentric folly of Dodo Cunningham-Reid, who wanted to build something special in Kenya for herself and others to enjoy. Originally planned as a weekend escape for Dodo and husband Michael when visiting their 600 acre Nderit estate, there is impressive attention to detail. The top of the tower provides a 360 degree observation lookout, while a floor below is a minaret-style meditation room, furnished with big cushions and a surround view. 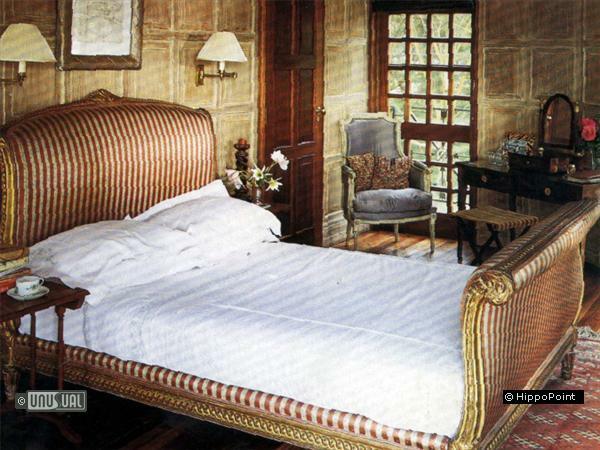 The middle tiers of the tower offer bedrooms with crisp Russian linens and covered verandas. Down spiral stairs and you reach a mahogany paneled lounge and drawing room, spectacularly original, yet luxuriously functional. A local architect provided the plans for the necessary steel structure and concrete foundations and Dodo used local materials and craftsmen to hide the technical aspects of the inner skeleton with cedar floors and carved furnishings. Welcoming guests for an overnight stay or bespoke rental, the tower and its staff cater for guests to enjoy their day at a leisurely pace. Perhaps breakfast on the veranda, hippo watching while sipping English tea and freshly squeezed juices, or maybe a walk amongst the animals of the wildlife sanctuary itself. An afternoon might be spent on the lake in the beautiful teak Riva motorboat before a candle-lit gourmet dinner using foods from their on-site organic garden or fresh from the nearby farms that surround the lake. 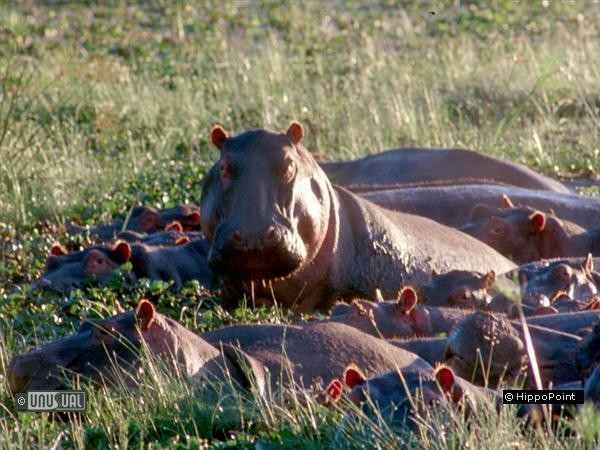 Such is the harmonious way that Hippo Point Tower integrates guest activities with the wildlife of the estate, you could perhaps forget that the 500 wallowing hippos peacefully waggling their ears in the lake are still two tons of wild animal. Given the protection the estate affords the animals, they are very relaxed in the company of humans and respectful of the guest presence, allowing a close-up experience of the animals in their natural habitat that is as unique as it is rewarding. 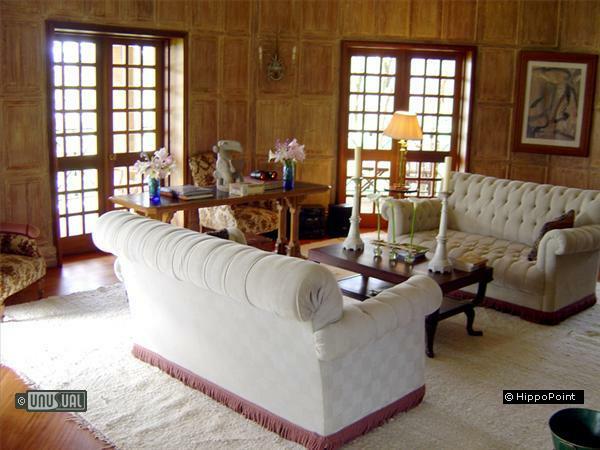 Guests have unrestricted access to the property and its surroundings. Fishing, water-sports and riding can be arranged, as can game drives at next door private reserves. 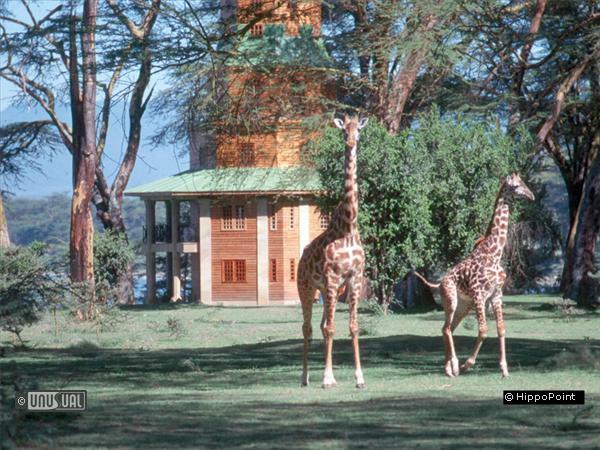 The wildlife surrounding the tower itself is worthy of mention with giraffes walking outside your window and impala feeding on the surrounding grasses. Both leopard and the shy nocturnal aardvark can often be spotted on night game drives. 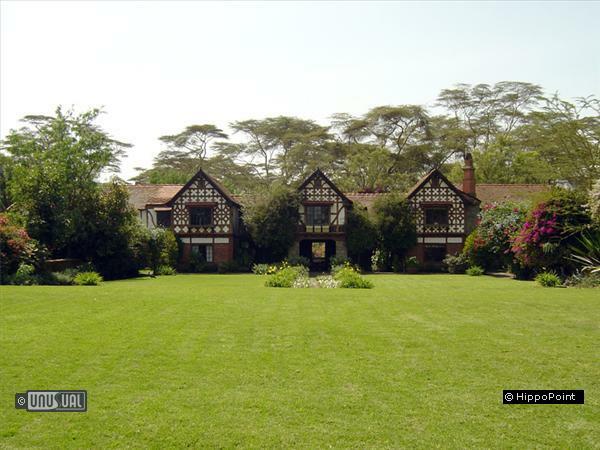 The nearby mock-Tudor Hippo Point house has a fine 20m swimming pool and 7 additional bedrooms for larger groups. The pool is superbly maintained and would not be out of place in a luxury hotel or spa much closer to civilization, but echoes the style that personifies the Cunningham-Reid approach of doing things properly or not at all. Hatari Lodge and Shu'mata camp are proud to announce that they have recently joined "Healing Hotels of the World" Nestled peacefully in the natural landscapes of Tanzania, the primordial African bush is one of the most profound ways to re-connect with nature in its purest form. Art-Safari! What's That?? Art-Safari is more than a safari with a drawing pad! It has been designed by an artist to maximize your experience of the African bush. Find your creative self whilst enriching your appreciation of the natural world. 50% OFF YOUR FIRST NIGHT’S STAY * HATARI LODGE - Less than an hour’s (part game drive) journey from Kilimanjaro Airport to Hatari Lodge. 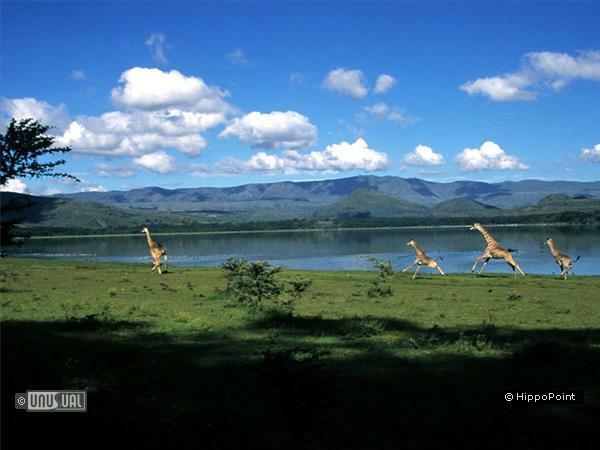 Experience African wildlife close up (including giraffe, warthogs and small antelope) roaming freely around this Oscar-nominated historical location.